Great Commercial Building with excellent rental history! Building features (2) 10 foot overhead doors, (1) loading dock with 10 foot overhead door, four new roof top HVAC units and a new parking lot in 2015. The building has lots of flexibility as it is currently divided into two commercial spaces including offices, storage rooms and kitchen. 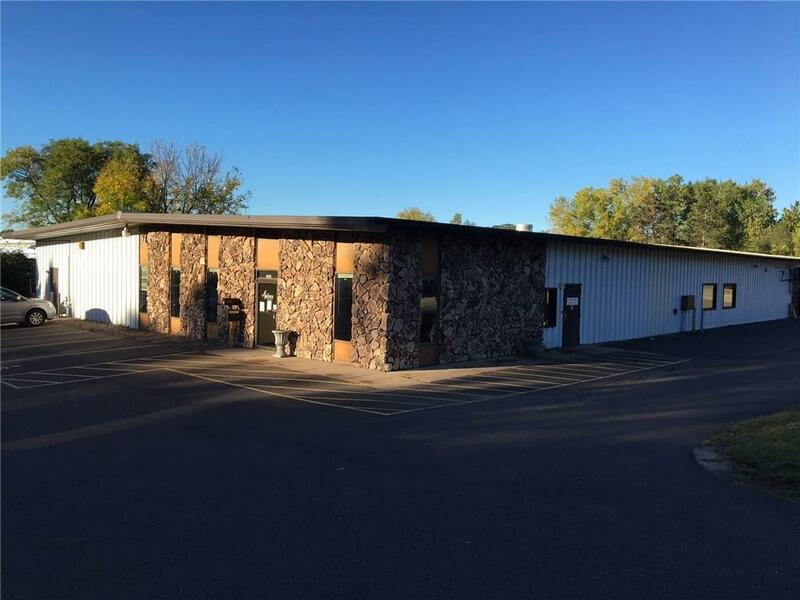 3, 600 square foot commercial space in rear of building is rented through April 30, 2019 for $1, 905.00 per month including utilities. This is a great opportunity to own a successful business that has been in operation since 1947. Great visibility with close proximity to the bike trail. The building is not included in the sale, but the business has a flexible lease. The sale price includes fixtures, all equipment and all inventory. This is a turn key business. Warehouse Space Available in Downtown Eau Claire. Approximately 4,500 sq. ft. at $1,450 per month. Comes with one 12'x 10' overhead door, single bath and one office. Extra parking available. New LED lighting and new furnace with central air. Located on historic Water Street with great visibility. Approximately 2,150 sq. ft. Recently remodeled. $1,400 per month. Available NOW! Approximately 1,300 sq. ft. on first floor with 800 sq. ft. of unfinished space in lower level. Large store front windows with high ceilings. Vintage hardwood floors. New furnace with central air. Rent is $1250 plus utilities. Available NOW! Office space available November 1st. Approximately 315 square feet, common bathrooms, includes ALL utilities. Commercial space available NOW. The space includes 1,852 sq. feet on the first floor and a fully finished basement below. The space also includes an approved drive thru. Office space available on 2nd floor located in Eau Claire's Historic downtown. Just steps from Eau Claire City Hall and many restaurants. 17,000 sq ft available. Parking available across the street in 4 corners lot. Rent Negotiable. New multi-use building located at 222 Water Street. 1st floor commercial space in brand a new building with adjacent off street parking. Within walking distance from bike trail and business district. Up to 11,000 sq. ft. available. Available NOW. Rent is negotiable. Contact our office today to discuss your options! Located on Historic Water Street with great visibility. Approximately 1,738 sq. ft. Can be combined with adjacent space for a total of 4,000 sq. ft. New store front. Available NOW! Rent is negotiable. Located on Historic Water Street with great visibility. Approximately 2,500 sq. ft. Can be combined with adjacent space for a total of 4,000 sq. ft. New store front. Available NOW! Rent is negotiable.